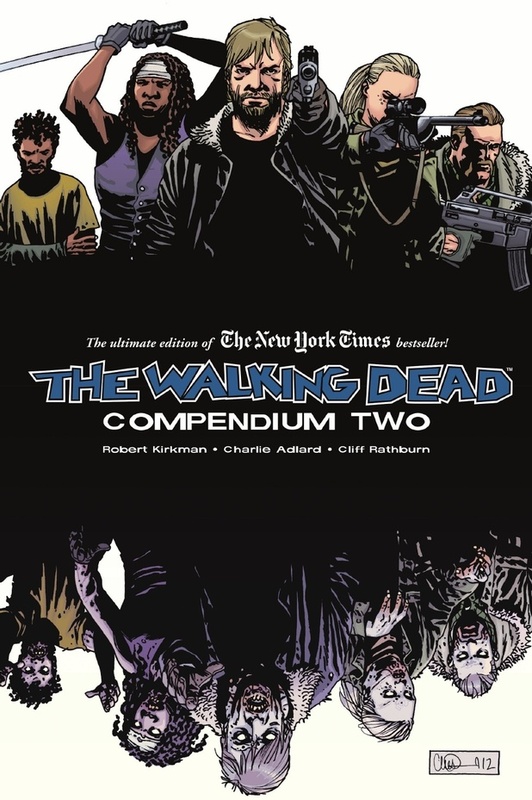 At long last, fans of "The Walking Dead" have finally gotten information regarding Compendium 2. This masve book, is scheduled to be released on October 3rd of this year. It will contain issues 49-96 of the comic...1,068 pages. And at a retail price of $59.99, it's something you can really nk your teeth into if you don't want to buy individual issues of the comic. Personally, I love these compendiums &amp; can't wait to add this monster to my book shelf.